The number of victims of landmines and other explosives has tripled since 2012 in Afghanistan, a country that today is suffering a political and social crisis, due to the US invasion, assured a United Nations agency. 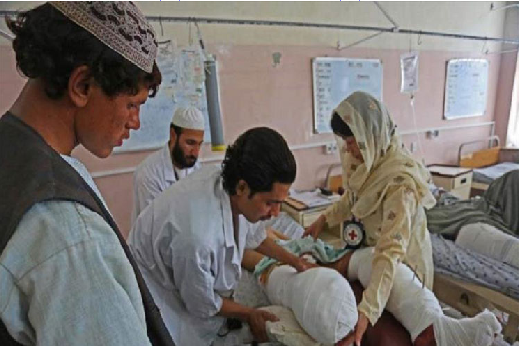 According to the latest report by the UN Mine Action Service (UNMAS) only in 2018, 1,415 Afghan civilians were killed or injured by these devices, some recently planted and others remnants of the war. In addition, eight out of ten victims of these devices are children, assured the institution at a meeting on the subject in the Swiss city of Geneva. The UN agency attributes the increase in fatalities to the ‘new contamination by anti-personnel weapons in the country,’ linked to the intensification of the conflict between government forces and the Taliban. The escalation of clashes between the Afghan government and insurgents in recent months has complicated the work of the UN to clear mined areas, stated Patrick Fruchet, UNMAS Program Manager in Afghanistan, quoted by Tolonews. Over the past 30 years, about 19 million mines and other explosives have been detected and deactivated throughout Afghanistan, according to the National Mine Detection Center (MDC). Despite this, insurgents and government troops are fighting almost daily in Afghanistan, which is experiencing a long political and social crisis accentuated since 2001 by the invasion of the United States and its allies in the North Atlantic Organization.